Tired of having space issues? Just can’t seem to find a way out to store those extra belongings? Guess what, your prayers have been answered! This blog caters to all your needs and requirements without making you spend exorbitantly. Read on to enlighten yourself. 1. A purpose-built bookcase is perfect. We all have heard it, but never tried it. Well, now is your chance. 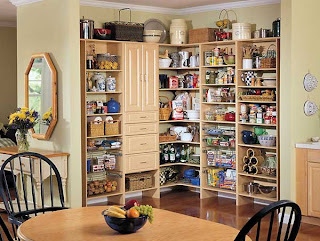 And the best thing is it will utilise the space from the floor to ceiling without making it look all cramped up. 2. Go to a shopping mart and surprise yourself with the variety they have. Bookshelves are the ideal householdstorage. They not only help in stacking up books, but also cassettes, CD’s and kid toys. In fact, you can also have pre-drilled kits that can be hanged on the wall without using an inch of your floor space. Now, how cool is that? 3. 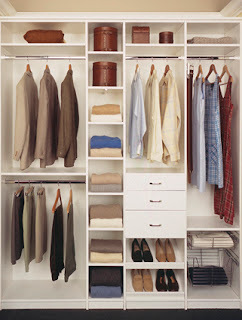 You can make best use of your closetspace by making use of drawers, trolleys, crates and stackable boxes. These will help the place look neat and tidy and you won’t have to keep looking out for that jewellery box again! 4. Make the best use of multi-purpose coffee tables. They can act as tables when you have guests coming over and serve you the benefit of having a built in drawer to store your cutlery and other small items. 5. Rather than having a farrago of boxes under the bed or wardrobe, use plastic bins that come with lids. They are lightweight and can be moved from one room to the other without causing any trouble. 6. Make room in the bathroom. Instead of installing cabinets put up shelves that can help you stack your brushes, toiletry, etc. They look attractive and help save a lot of space. 7. Make room in your garage by discarding all the unwanted items. I’m sure you’ll have enough space to load up another set or two of tools and equipment. It is true that we sometimes feel that we have made use of all the space we’ve ever had, but if you are to follow the above steps and just try to squeeze in a few things, you can do wonders. All the best! Why Would I Need Enclosed Car Transport ?